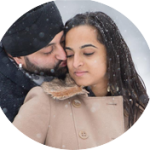 Born out of passion, Topaz Media provides photography for all occasions and events, ranging from Asian Wedding photography, Church Weddings photography, Commercial, Fashion, and Lifestyle photography. Based in London, the International wedding photographer is renowned as an artistic Asian wedding photographer, capturing every glimpse of your special occasion. Born with a desire and energy, Topaz Media photography epitomises the importance of each occasion offering new directional styles of photography. Topaz Media use an approach that has a unique style with a contemporary feel. With visual clarity and an alluring sense of composition, Topaz Media captures the beauty and essence of the subject. The photographs display thoughtful use of composition, colour, texture, light and depth. And just as important the photographer seizes the emotion, laughter and joy of the day. The photographer stands exclusive in the pool of Indian photographers making creating visuals unique to any other. We are so pleased we chose Guv (Topaz Media) to be our wedding photographer. As the wedding was going to be in Vienna, Austria, we began by looking for a local photographer(s), but after trailing through numerous websites and seeing some of their work, none came close to Topaz Media in terms of quality – we simply had to have them cover our wedding, after all these photographs will be with us forever. Saying that Guv is an expert in wedding photography would be an understatement, his experience meant we had little to worry about, he captured all three events (mendhi, wedding and reception) perfectly, completely exceeding our expectations – his creativity produced the most amazing photographs. For both my wife and I, working with Guv was a pleasure, he made us feel totally relaxed and we thoroughly enjoyed every shoot we had, it was like we had known him for years. We are absolutely thrilled with our wedding photos; Guv captured all the emotions of the days, the beauty of the landscape and architecture where we had each of the events and all the little details that made it personal to us. Looking through our album I don’t even remember seeing him in some places – it just goes to show that he never misses an opportunity or moment, everything was captured! Every time we look through the photos we spot something new: an expression, a stolen moment – they really tell the story of the day in the best way possible. Guv provided an excellent service from start to finish and at each event many of our guests commented on what an amazing job he was doing and how he clearly enjoyed photographing the day. We would not hesitate to recommend him to anyone looking for an incredibly talented, imaginative and personable wedding photographer. Thank you Guv!!! A MASSIVE thanks to Topaz Media who truly captured the two best days of our lives so amazingly! Having seen their work through various friends of ours, we were never worried about the quality of service or end product that we were going to get – and as expected they definitely did not fail to deliver. Very professional and would most certainly recommend to all in an instant! Our wedding moments have surely been captured to tell stories in the future but more importantly the memories lie still in the hearts of all who attended the wedding.